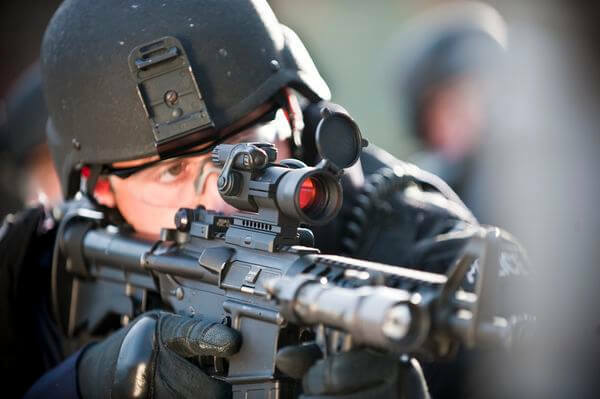 The Aimpoint PRO is the entry-level Aimpoint tactical optic making the parallax free precision and instant readiness for use available to a wider market – particularly sports shooters and police departments on less than lavish budgets, but unwilling to compromise on quality. The Aimpoint PRO red dot comes with a spacer – when installed co-witnesses perfectly on normal height AR15 flat top receivers. Take it off and the sight is good for rifles and carbines with lower stock configurations and shotguns. The sight comes with a Picatinny 1913/Weaver rail mount with ratcheting knob to avoid damage to your rail. ½” MoA clicks for precise zeroing. 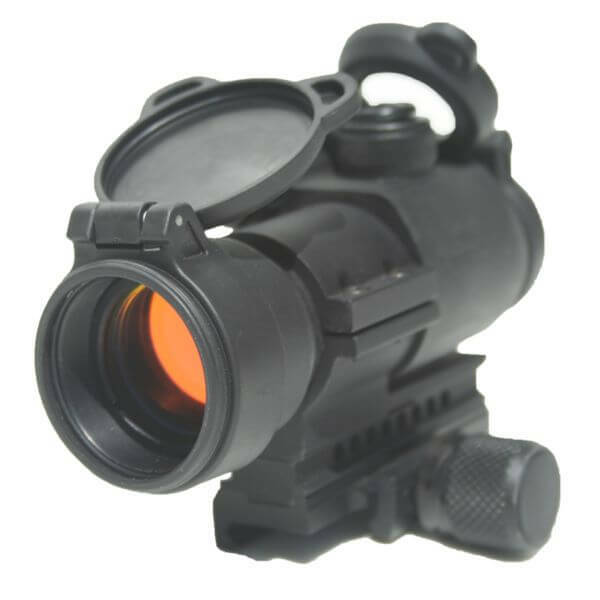 Compatible with Aimpoint 3X magnifier. Three years battery life on one 3V Lithium 2L76 or DL1/3N battery means you never have to turn the Aimpoint PRO off. 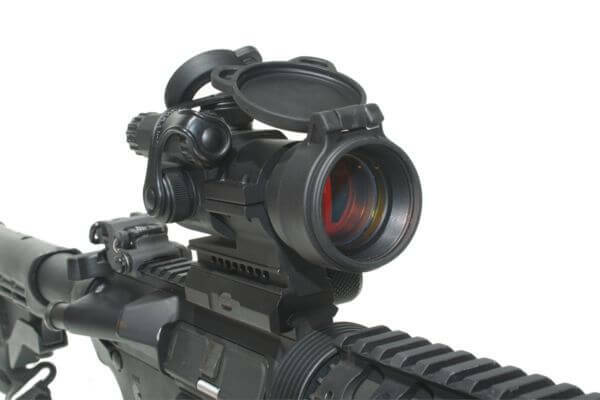 The clear rear lens cap means the Aimpoint PRO red dot sight is capable of use with the lens caps closed and both eyes open by those with normal binocular vision. A clear front lens cap is available as an optional extra. This is a super-rugged sight built around a 30mm aircraft grade aluminium tube. It is waterproof to 45 metres or 150 feet. The sight is threaded at the front to accept the Anti Reflection Device just like its more expensive military cousins, the CompM4 and CompM4S. An optional polarization filter is also available. There are six day and four night vision compatible settings enabling the PRO to be used in all lighting conditions.